The polls opened today, exactly a year after Angela Merkel decided to let tens of thousands of migrants into the country. GERMANY’S ANTI-MIGRANT populists AfD recorded strong gains at state elections today, unseating Chancellor Angela Merkel’s party from second place, exit polls showed. Alternative for Germany (AfD), which campaigned heavily against Merkel’s liberal refugee policy, scored around 21% in their first bid for seats in the regional parliament of Mecklenburg-Western Pomerania. The CDU garnered around 19 percent of the votes, its worst showing ever in the north-eastern state, while the Social Democrats maintained top place with around 30%. 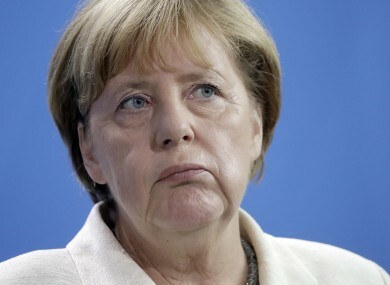 Email “Exit polls: Germany's anti-migrant populists unseat Merkel's party”. Feedback on “Exit polls: Germany's anti-migrant populists unseat Merkel's party”.